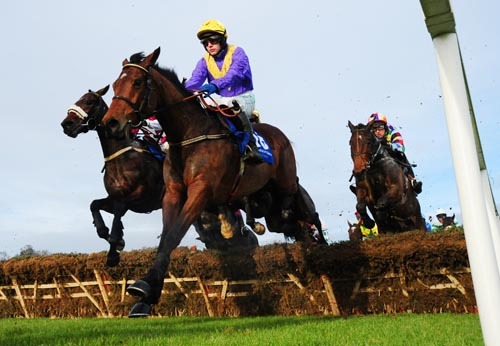 Thursday of the Festival & attendees will get the bonus of the Cross Country race getting run here after not going ahead on Tuesday, there is a whole day of competitive & top class racing. It remains to be seen whether Willie Mullins can continue to get the winners - we're hoping for one of his at a big price! The New One won easily for us yesterday at advised odds of 9/2 & with just four selections so far we're in profit - picking one in every race just isn't our style & we'd much rather be selective & turn a profit than pick several winners & still end up losing money! The Ryanair has grown in stature as a race over the years & it has claims to be considered up there with some of the true championship races at the festival now, certainly the World Hurdle at least, & this year sees a high class field again including two-time winner Albertas Run & last year's victor Riverside Theatre. It's competitive too with 7 of the 8 runners trading at odds of 14/1 or shorter & everyone of them having an official rating of 155+, we think there's value in the race & will be going for a horse that is progressive yet already proven as well. 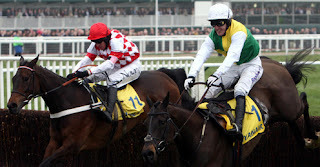 Albertas Run deserves maximum respect as it's a horse with a great record in the race after finishing 2nd last year to follow its two wins in 2010 & 2011 plus a win as a novice chaser in the RSA, but Jonjo O'Neill's bay gelding now hasn't run for nearly a year after failing at Aintree. The horse clearly goes well fresh but time has surely got to catch up with him at some point & at 12 years old it could be this time around & we'll reluctantly pass by. Last year's winner Riverside Theatre has only raced once since Aintree last year, when failing to see out the distance in the King George, & is another that can go well fresh & looks certain to stay up the hill strongly as he did last year to win under a rousing Barry Geraghty ride, we're just a bit concerned that this year's race looks a touch stronger & after only just prevailing last time it's a harder task this time around. 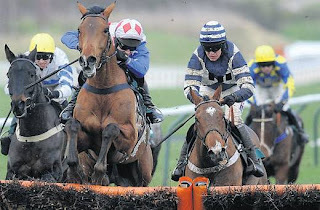 The favourite for the race at the time of writing is First Lieutenant & Mouse Morris's horse has some top class form but does struggle to win & hasn't passed the post in front since November 2011, that isn't necessarily a worry as the horse has some great festival form with a Neptune Novices Hurdle win in 2011 & a 2nd (to this year's Gold Cup favourite Bob's Worth) in last year's RSA. First Lieutenant has however looked a stayer to us & was only just touched off in the Lexus in Ireland over 4 furlongs further, it seems he's running in this race in an effort to avoid Bob's Worth & we'd rather go with a horse that looks a specialist at the distance, especially when the price is so short. 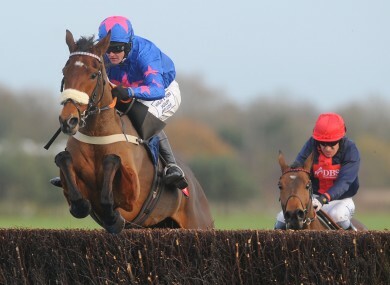 Cue Card looks the one to concentrate on here as Colin Tizzard's gelding came 2nd in last year's top novice race the Arkle behind the virtually unbeatable Sprinter Sacre & has since only gone down when trying to step up to 3 miles in the King George after travelling nicely for a way before blowing up. Before that Cue Card had smashed the field (including rival here Menorah) in the Haldon Gold Cup at Exeter & then last time he took advantage of a terrible blunder from Captain Chris to win the Ascot Chase, he may have won already that day & the race looks a nice trial for this one. Cue Card looks a nice jumper & should be able to cope with whatever tactics are employed in the race & looks the winner at odds of 100/30. Champion Court & Menorah are the other horses priced in single figures but Menorah looks well held on that Exeter run with Cue Card & Champion Court may be being overrated for the King George run when showing his best form for some time & next time out couldn't beat the mare Alasi so we're happily swerving both of these. The World Hurdle this year is obviously missing its star turn in the incomparable Big Bucks but it actually now make the race a very exciting betting event, but not necessarily an easy one to pick the winner from! Oscar Whisky looks like it may head the market but was well beaten last year when not appearing to stay & was outbattled in a war of a race in the key trial for this by Reve de Sivola, that race could have left its mark on both of the horses & in an open affair we'll leave both alone. Peddlers Cross is probably the most interesting horse in the race as a former Champion Hurdle runner up & he looked a top chasing prospect & has actually started an odds on favourite against Sprinter Sacre before! He won the Neptune Novices Hurdle in 2010 & that would be the best indicator in terms of novice races for this, he's never raced quite this far & wasn't exactly electrifying when winning at 1/5 a month ago at Musselburgh. We're just a little concerned that this race may come a little too soon for Peddlers Cross after a problem before his season started seems to have really set back Donald McCain's star. At a very big price we like the look of So Young as a live contender, he's a Willie Mullins horse & that stable has been dominating the festival so far so we wouldn't be surprised to see this one backed in from current odds of 25/1. 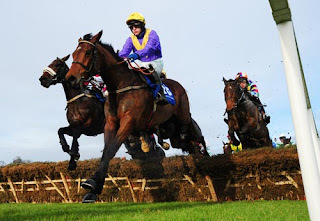 He was a 2/1 favourite for the Neptune two years back & then an odds on favourite for the Punchestown Champion Novice Hurdle which shows how good a novice the horse was but he was well beaten in this race last year & then raced disappointingly next time at Fairyhouse. Since then however So Young appears to have raced nicely with a 3rd in the Christmas Hurdle at Leopardstown & then a 2nd behind the very decent Solwhit, it was his last race that took the eye though with a comprehensive defeat of stablemate Zaidpour (another that's looked full of promise at a time) & we think So Young may be on an upward curve - in an open race we like the look of it as an each way bet at 25/1.